Back in May we exclusively reported Apple was set to open an Apple Store in Surrey, BC and later confirmed it would reside within the newly renovated Guildford Town Centre. 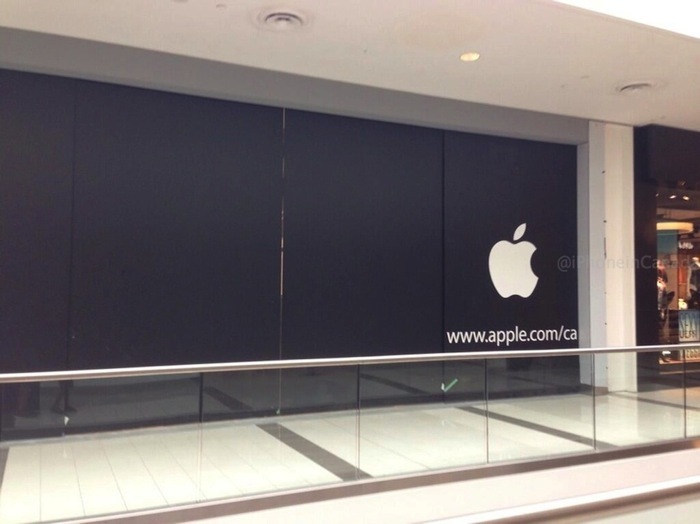 Now, new images reveal the progress of the store looks like it is ready for its grand opening soon, which would most likely take place next Friday, September 20 on the launch of the iPhone 5s and iPhone 5c. The pictures below show the store with its glass storefront setup. Floor to ceiling black drapes (with one panel showing the Apple logo) conceal what lurks behind (the cracks seem large enough to peek in; let us know if you do). The location is next to Guess and on the floor above the Disney Store and Lego Store. It is not uncommon for Apple to coincide retail store grand openings (or grand reopenings) with product launches. The Sainte-Catherine Apple Store in Montreal, currently closed for renovations, says it will reopen on September 20–conveniently on the iPhone 5s, iPhone 5c launch day (which we had predicted). For this new Surrey Apple Store, we suspect it’s the same scenario. 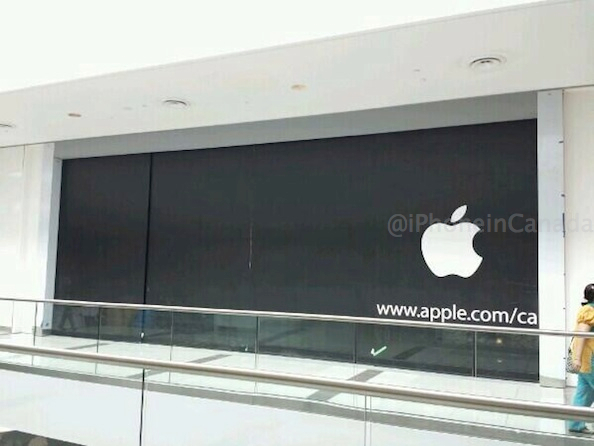 Apple will most likely update its website to reflect the new store’s details by Wednesday of next week. Stay tuned! Thanks Ed and Claude for sending these in!